A revitalising, aromatic body scrub enriched with polishing Pomegranate Seeds to gently buff away impurities for a healthier looking skin. A revitalising, aromatic body scrub enriched with polishing Pomegranate Seeds to gently buff away impurities for a healthier looking skin. 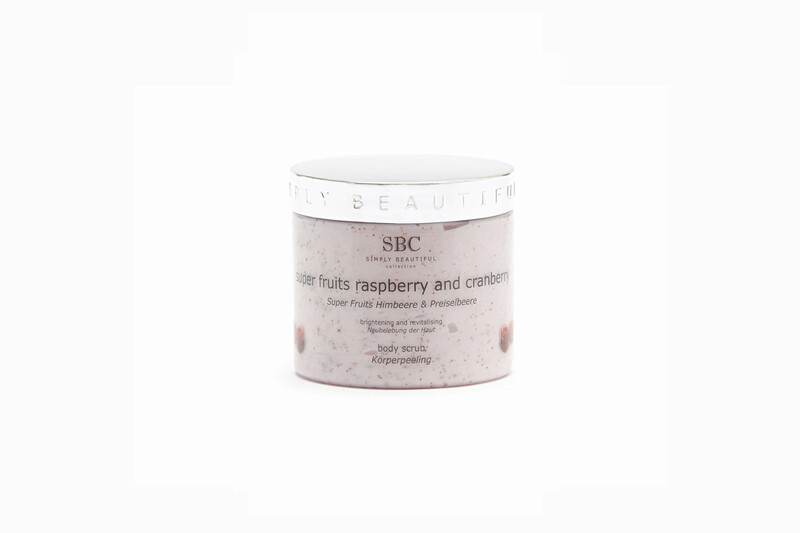 Fragrant Raspberry and Cranberry offer a naturally-rich blend of Vitamins and antioxidants to promote improved skin health and radiance, leaving skin silky-soft, and satin-smooth. Recommended for dry, flaky, dull or dehydrated skin types.